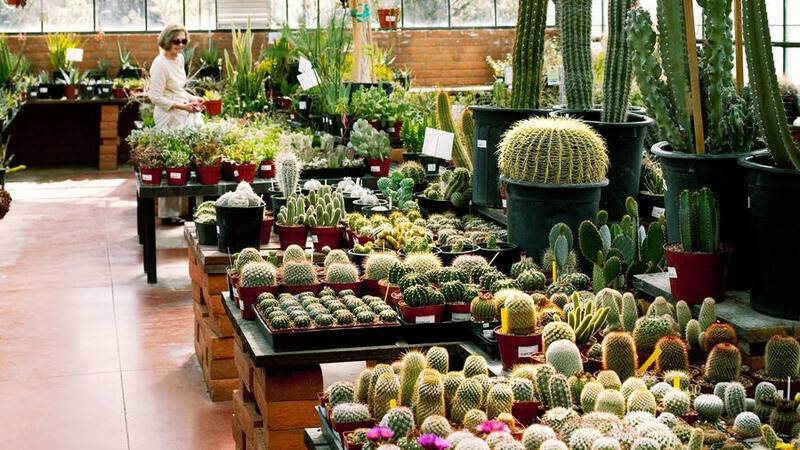 Visit the botanical oasis of Tohono Chul Park in Tucson. Brake for cactus: Tucson is home to the world’s largest regional cactus and succulent society (tucsoncactus.org), and montly meetings are open to the public. Go native: Desert Survivors (Closed Sun, Mon, 1020 W. Starr Pass Blvd., 520/791-9309) is your spot for super-rare natives like red barberry. Stranges souvenir: Living rocks (Lithops) resemble tiny sea cucumbers and are great for a lonely windowsill. Browse the mother lode at Plants for the Southwest (closed Sun-Tues, 50 E. Blacklidge Dr., lithops.com). Four times a farm: If you miss the Friday farmers’ market, there’s another one Saturday and Sunday–and Wednesday, as well (times and locations at heirloomfm.org). An ever-changing lineup of exhibits can be enjoyed at the Tucson Botanical Gardens. The Tiffany of garden stores: Family-run for more than 70 years, Harlow Gardens deals in local artists’ one-of-a-kind patio pieces…like a 3-foot-high metal snake wearing a cowboy hat. Something more practical: Pick up a biodegradable flowerpot made from rice husks. 5620 E. Pima St., 520/298-3303. La Cocina Mexican restaurant serves tasty global eats, like Vietnamese salad rolls and Sonoran-style cosmos. Veggie burger with a side of tacos: La Cocina’s sleepy Mexican village interior belies a global menu focused on seasonal ingredients. Sure, you can order tacos, but the Vietnamese and Japanese-flavored plates deserve attention–as do internationally-infused cocktails. $, in Old Town Artisans, 201 N. Court Ave., 520/622-0351. Stay a spell at the Arizona Inn, a 1930 resort sprawled over 14 acres.